De-icing and anti-icing chemicals provide benefits by preventing roadway accidents and slips and falls, but also negatively impact the environment, human infrastructure, and sources of drinking water. Salt is the most commonly used form of de-icing chemical. As the use of these chemicals has increased in recent years, so too have our expectations for getting around during winter storm events and our awareness of associated negative impacts. ICPRB is involved in a few efforts to promote sensible treating of roads, parking lots, and walkways. 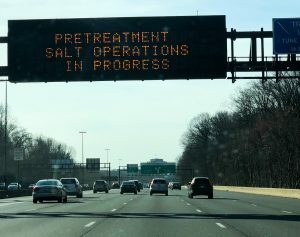 Virginia Department of Environmental Quality (DEQ) is in the process of developing a salt management strategy (SaMS) for northern Virginia as a means of addressing a chloride impairment in Accotink Creek. An extensive stakeholder process is being used to foster a collaborative effort to meet the chloride loads specified in the Accotink Creek total maximum daily Load (TMDL) and address salt application in the region. The SaMS process is expected to run through 2019. Check back here for more on ICPRB’s involvement. 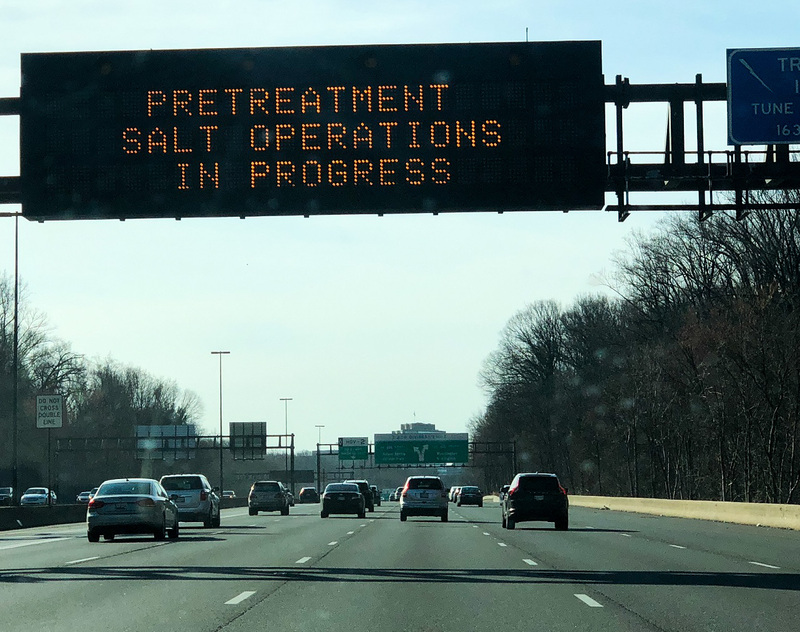 Potomac DWSPP has long been concerned about the impact of chlorides on drinking water supply infrastructure and on the treatability of the source water. As the DWSPP coordinator, ICPRB facilitates meetings and assists members in achieving their goals. DWSPP maintains a website with information on how de-icing and anti-icing chemicals can impact drinking water.